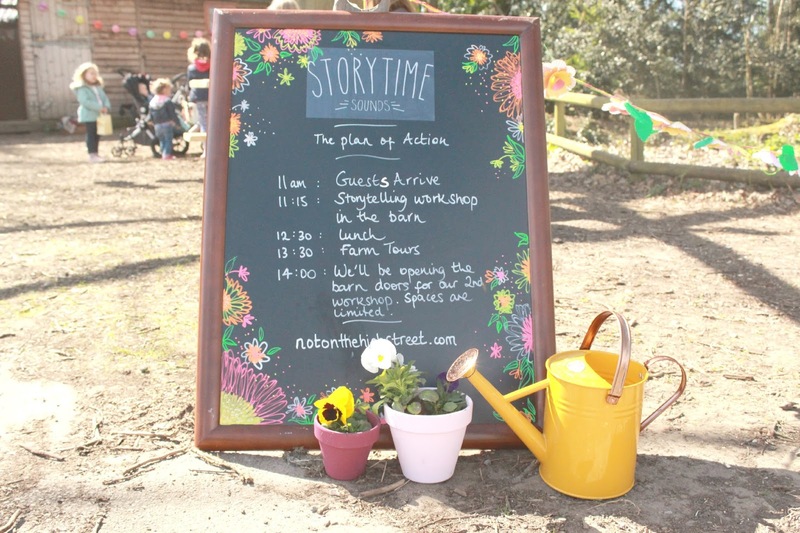 Last weekend we were invited to Storytime Sounds at Godstone Farm in Surrey with Not on the High street. 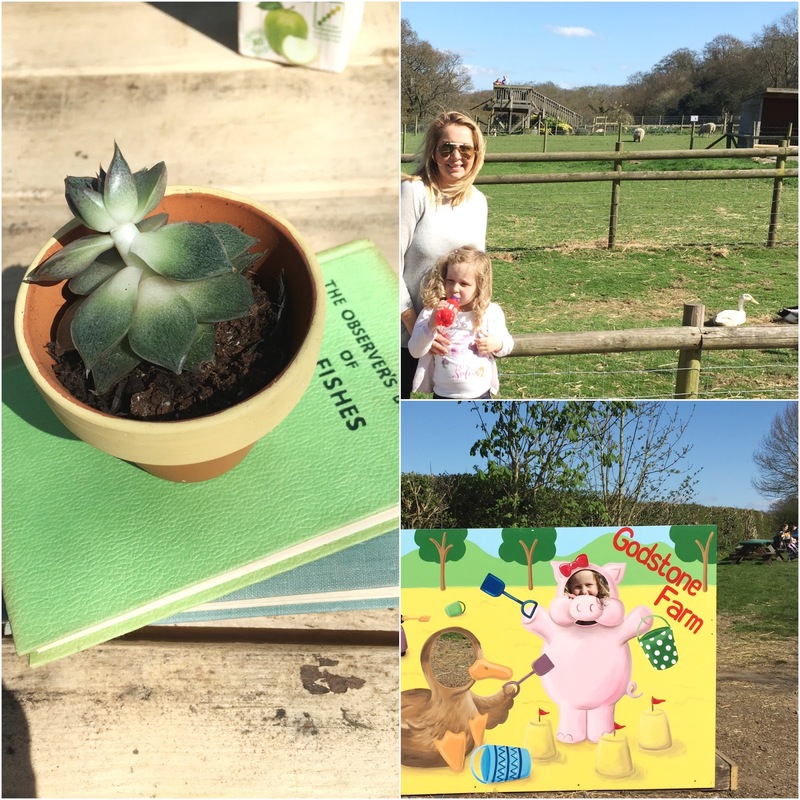 Not on the High Street have recently upgraded their brilliant Storytime Sounds app to include a Farmyard sounds section, both my children really really love the Storytime Sounds app since we discovered it at NOTHS's Halloween Party last year. My eldest E, loves to use the app at Bedtime to accompany her bedtime story. The Halloween & Fairytale sections work really well with her current favourite Meg, Mog & Owl books. Although the app is designed for 3-7 year olds, Rufio who is 21 months really actually enjoys it too. He's little a little eel at nappy change time at the moment so I often give him my phone to distract him and he usually chooses this app, the Farmyard sounds are his favourite. 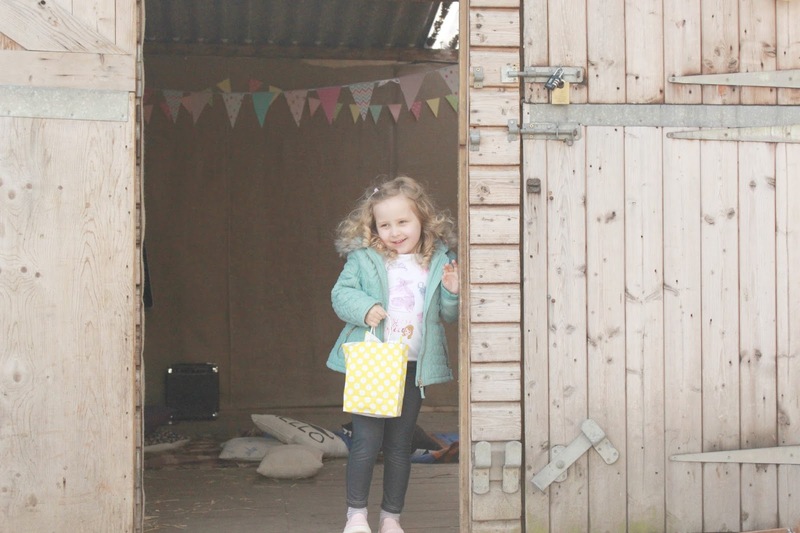 We arrived at the farm, a little bleary eyed from our late night flight back from Greece the day before. 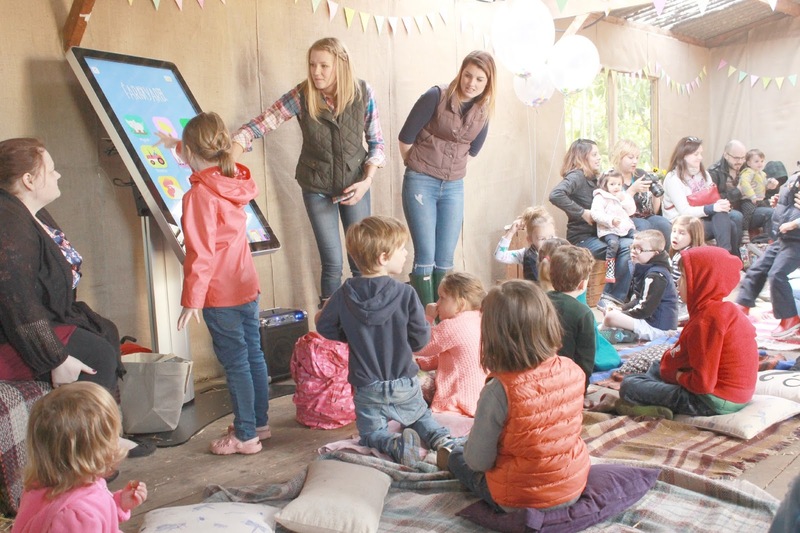 We soon perked up when we arrived at the beautifully decorated barn ready for the Story telling workshop where the children listened to farm themed stories and got to try out the app using a super sized iphone! 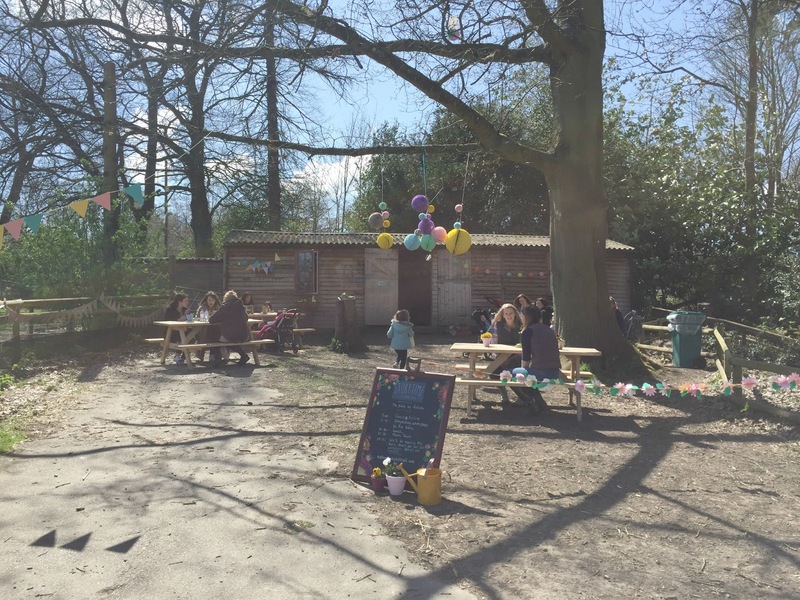 Soon it was time for lunch, it was a glorious sunny day so we were able to have a picnic outside. 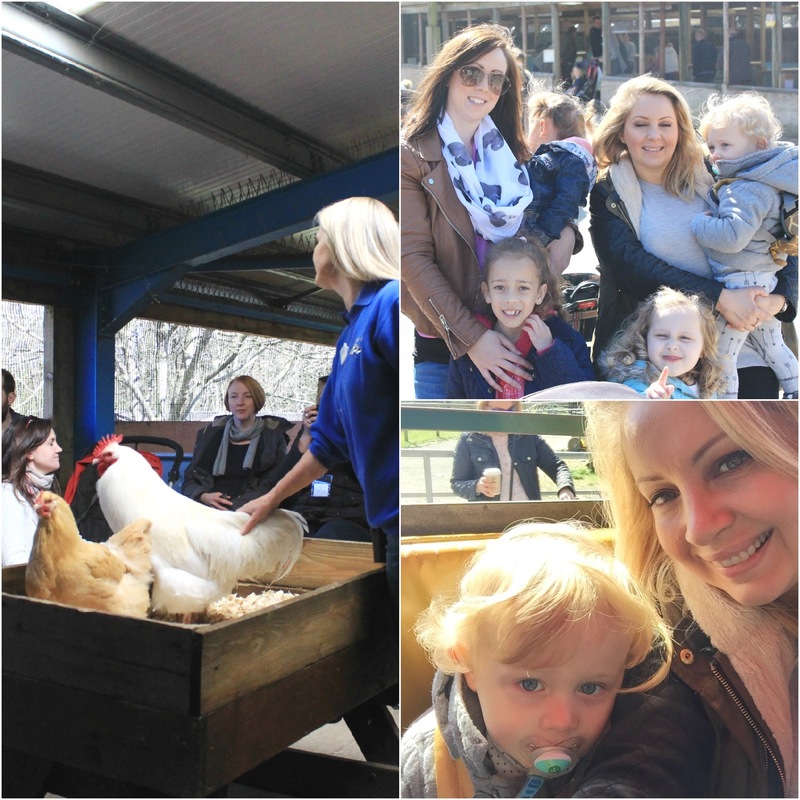 Then it was time for a tour on the farm, the children were thrilled to be given the opportunity to feed the piggies. 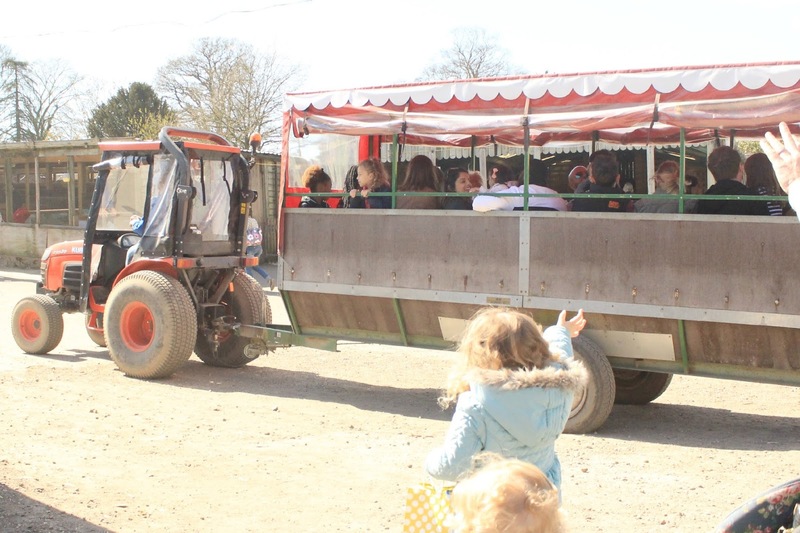 Later on there was a tractor ride, I'm not sure who enjoyed this more- the kids or the daddies!! 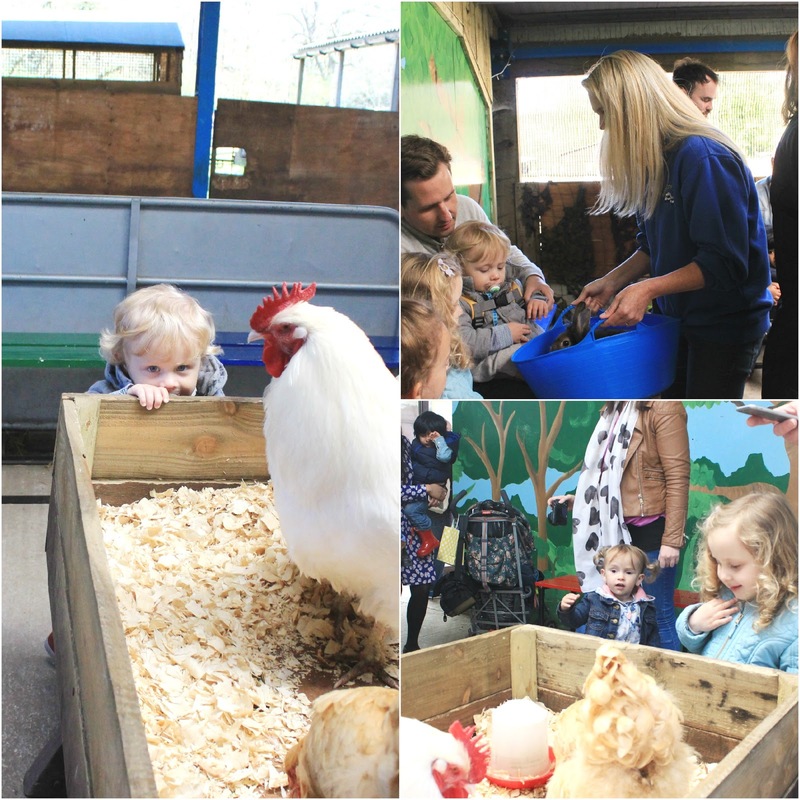 Finally we were taken to a little room where the children were able to get up close with some of the farm animals including a tiny baby chick just a few days old and a gorgeous fluffy bunny. 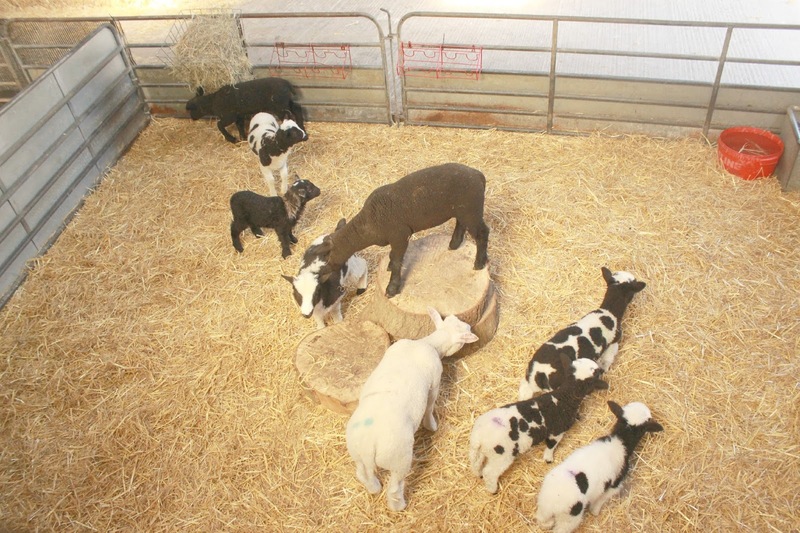 We were then free to roam the farm and our city kids went wild wild with the open space and fresh air. 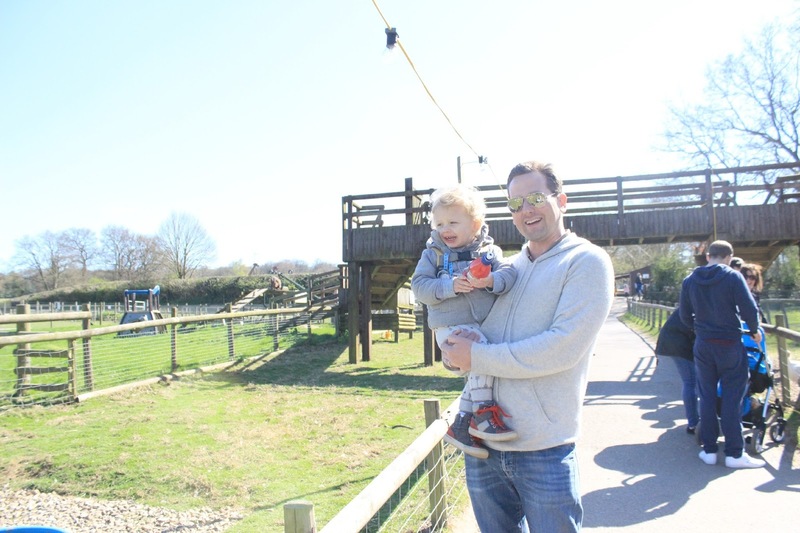 It was really great to catch up with my friend Emily from London Mummy of Two Girls and her family. On the day, we were also joined by Blogging/ Vlogging royalty - the Saccone Joly's and if you check out their video upload from last Saturday you may just catch a glimpse of us in the background! !